At almost 4 years old, I knew A would probably wonder where we were, what was going on, what everyone was doing, why people were crying and would talk a lot during my father-in-law’s funeral so I knew I needed to do something to prepare her. After doing an extensive google search, asking some friends and going back to my roots as a teacher- I did the only logical thing- I bought books to read to her to prepare her. The Tenth Good Thing About Barney – This book is about a pet cat that died. It explains feeling sad and can lead to good discussions about when someone or something you love passes away. God Gave Us Heaven – This was a really great book for Christians to give a brief explanation about heaven and how when someone dies, they go there. It was a great way to introduce the idea of heaven. We read these books a few times before we attended the funeral and it helped her know what to expect. I didn’t want a funeral experience to be threatening, negative, or scary. She probably won’t remember the details 10-15 years from now but she will know if it was a negative experience. There were a lot of tears from family members and when she asked, I explained it was because they were sad. When we approached the casket to say goodbye to her grandfather, she said goodbye and waved. Even now, I try to keep it simple and answer whatever questions she may have. 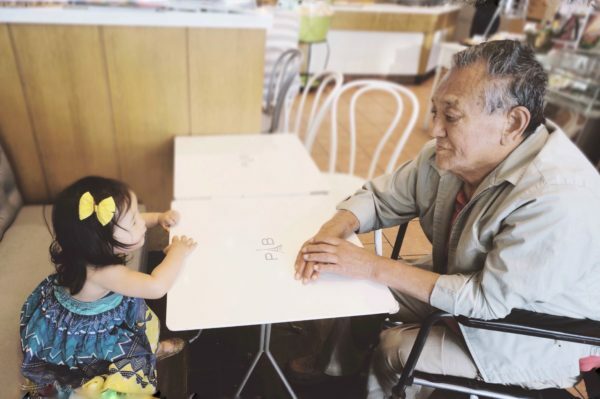 She wonders where her grandpa is sometimes. I explain to her that he has passed away but that we will see him in heaven. I just want her to know that even though death is sad, it’s not something to be feared. One of my favorite pictures of A with her grandpa. 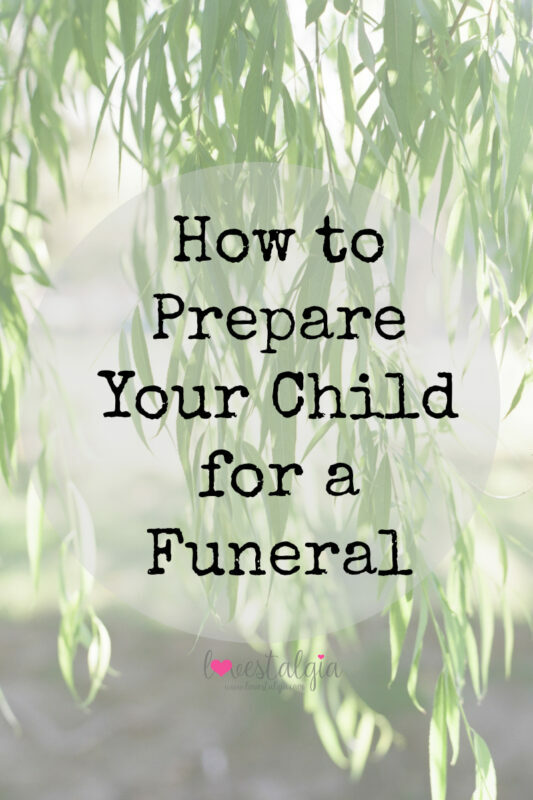 Have you ever had to explain death to your child or attend a funeral with them? Disney On Ice Returns to the Southland! Such great tips. I definitely am going to check out those books. We’ve had a few deaths in the family since having kids, but haven’t brought them to a funeral yet. I really want to be prepared, so thank you for this. Thinking of you and your family. I think keeping things simple is the best approach for everyone. My daughter knows that all of her loved ones who are no longer with us are in a better place! My oldest attended his first funeral when my second son died right after birth… We used a lot of books as well as a children’s bereavement group to help him process the experience. He actually helped lighten the funeral a bit for us… He was 3 1/2 at the time and announced to the pastor in the middle of the service that my husband (his stepdad) was going to bring his roller skates to his dad’s later, haha. Great advice! Thankfully we haven’t lost anyone yet! Great tips for breaching a subject with kids that is inevitable and has to be dealt with. Very wise, indeed!